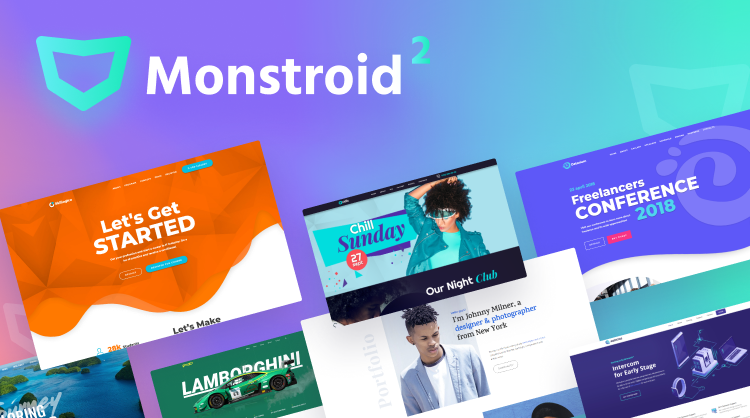 Last year our team released the theme that became absolute breakthrough on the market – Monstroid2. During this year it won the confidence of more than 7K clients! Zemez team continued working on this top-notch theme, and at last we have prepared something special for you – Monstroid2 Super Update! 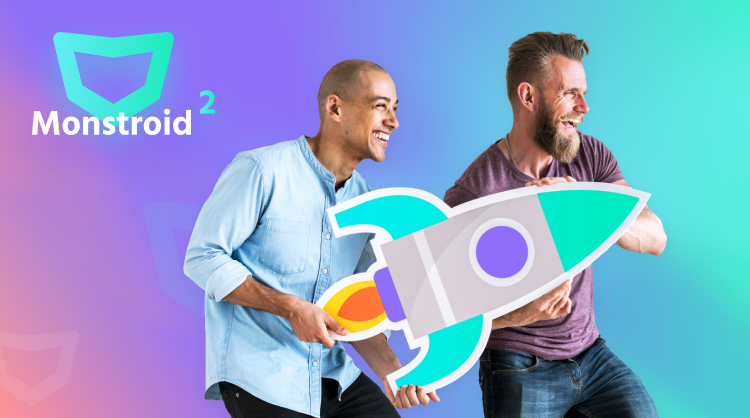 From brand-new design to fully upgraded functionality on board, new Monstroid2 comes with plenty of surprises and awesome features. Let’s see what we’ve got for you! Zemez team constantly follows up the latest web trends and always aims to deliver our clients cutting-edge products to suit their needs. 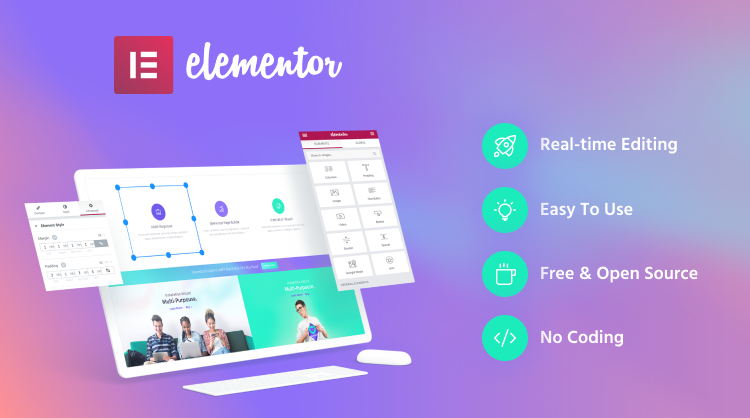 That’s why we turned our attention to Elementor Page Builder – the most progressive and user-friendly live page editor. In new version of Monstroid2 we opted to replace Power Builder with Elementor Page Builder. Moreover, every single page and every astonishing skin of Monstroid2 is now cut for this awesome front end page editor! Another great change is that now Monstroid2 is equipped with state-of-the-art modular functionality. 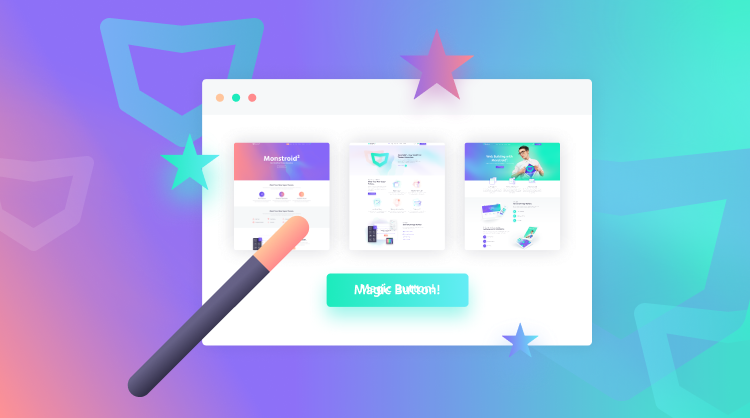 The theme comes with JetThemeCore plugin, which activates Magic Button – providing an outstanding library of pre-styled pages and sections, which can be added to any page manually. You’ll be amazed with the diversity of pages: just choose the one you like and insert it to your page! Also, JetThemeCore plugin helps building templates and assigning different headers and footers to different pages. Monstroid2 theme is has become super easy to be installed! With our M2-Theme-Wizard you will install the theme in a blink of an eye! This one-click wizard will save your time on installation entire set for your site, from plugins to demo content! Speaking of plugins, Zemez team developed Jet Family plugins, which won the affection of many customers! We have been working on those plugins and keep upgrading them regularly. Jet Plugins are specially cut for Elementor Page Builder in order to enrich it with additional performance. They all contain exquisite modules, which help adding absolutely exceptional elements and provide functionality. 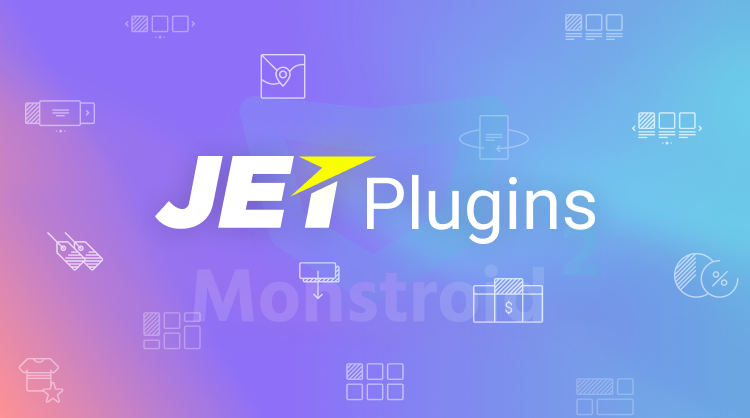 New Monstroid2 comes with such plugins as JetElements, JetMenu, JetBlog, JetWooBuilder and many more! JetElements plugin comes with over 40 absolutely exclusive modules, such as Posts Carousel, Animated Box, Portfolio, Vertical Timeline, etc. JetMenu allows creating spectacular Mega menu, and enhancing it with stylish elements. The plugin works in tandem with Elementor live page builder, allowing to add content to menu items in a drag-and-drop way. JetBlogs plugin is cut to create stunning blog pages. It comes with great dynamic modules, such as Smart Tiles, Text Tickers, Video Playlists, Smart Posts List. JetWooBuilder will help you to build your custom structure of your WooCommerce product page templates and product archive page templates. You are free to build any content layout with the help of diverse top-notch dynamic content widgets. Furthermore, upgraded Monstroid2 theme has now 20 skins, plus, one new skin will be added every week! They are all designed by high-class professionals to provide users with high-end design. You will be amazed with all those bright and juicy skins, dedicated to various topics! They can be easily switched in Monstroid2 dashboard, as well as demo content can be replaced in a few minutes! Zemez Support team is always on the guard of your queries! You are free to contact our caring support in regards of any question you have about Monstroid2. We are happy to provide you with any assistance and with the right solution to resolve any issue! Explore super update of Monstroid2 theme and create your dream site hassle-free!